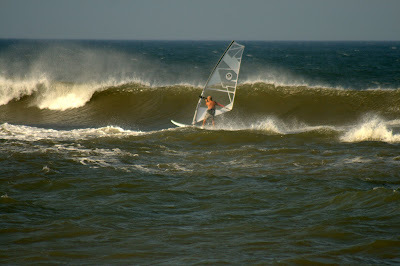 Perfect OBX Labor Day Weekend – Sun, Small Surf, and Some Wind! If you were here on vacation or simply made it out to the beach, it was a perfect long weekend for time on the sand and in the surf. 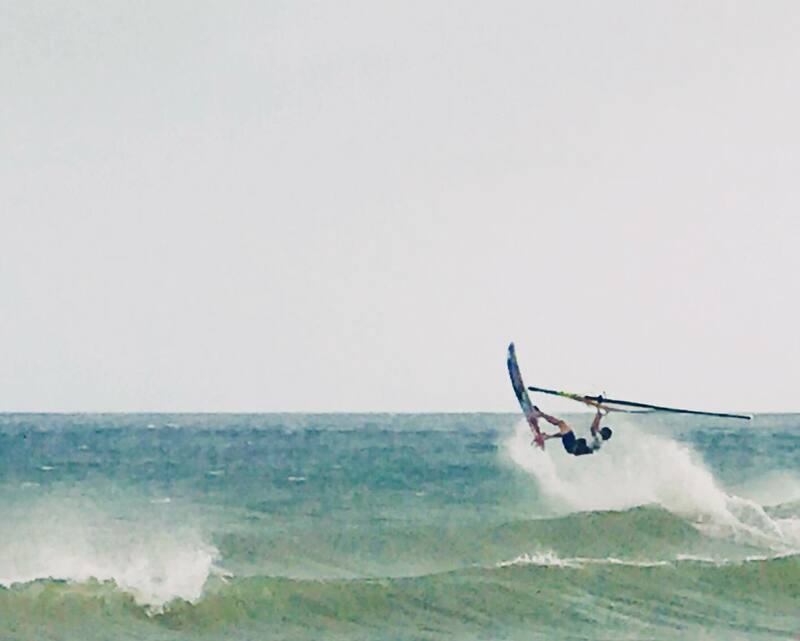 Conditions were small, but fun with a solid waist high wave on the main bars breaking across all tides at choice spots. 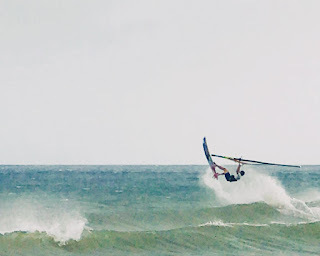 Southerly winds ramped up each afternoon providing fun side to side-off conditions for WindSUP action in the surf zone. 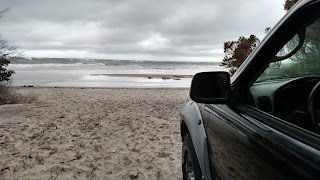 I caught it each afternoon on the Sealion, and the spot of choice was Loggerhead St in Nags Head where a nice outside sandbar produced breaking surf at all tides. It did get quite shallow at low tide, even for the short Sealion fins, but it was not much of a problem. Water temps were perfect for trunks only. Only catch was the number of people in the water within the surf zone swimming, surfing, SUPing, and boogie boarding. No worries though as all are out to have a good time, and with myself the only one holding a sail in hand, I simply had to keep a keen eye where people were and judge a given DTL run accordingly. I had to pass on a few waves due to folks in the zone/path, but that was ok. I enjoyed seeing many out having a FUN time and enjoying likely their last tastes of summer. I read all the surf reports ranging from OBX Surf Info to Surfline and most report poor/marginal conditions from the east facing north beaches to Buxton. Photos from the reports show minimal surf conditions and nothing looks too enticing. I have verified these reports by checking numerous spots along the east facing beaches ranging from Jennette’s Pier to Lifeguard Beach and have confirmed that the surf is relatively small and weak at basically all spots. Occasionally, there is a decent break, but it remains on the small size compared to, wait for it………Rmp 30! What is up with this spot?! None of the surf reporters note this spot, and there are no surfers there; however, the outside bar is working excellent this year and a solid wrap swell has been focused there for the duration of this current summer SW daily wind fest. Note, it can be choppy/bumpy for standard surfing when the wind is up; however, when its light and/or offshore it is quite well groomed and working on both low and high tides with set surf averaging chest-plus! All in all, where all other OBX surf breaks now appears flat or minimal, Rmp 30 seems to fire. Perhaps the magic is its location relative to the orientation of Hatteras Island and the effect of wrap swell crossing Diamond Shoals. Points north simply do not get much of the wrap as the swell is minor and only driven by the Bermuda High SW winds (no E/SE energy driving the swell, but rather SW energy). Points south are too close to Diamond Shoals where much of the wrap is dissipated as it rolls over the shoals (thus Lifeguard Beach, Old Lighthouse, etc… are very short period and weak). Ramp 30 and even Ramp 34 both sit in the magic zone for SW wrap swell. These spots are far enough north of Diamond Shoals to experience clean wrap, while not too far north to lose the swell energy of the wrap. The location window is quite small where only a few miles can make a big difference in what type of wave energy rolls across the surf zone. Additionally, Ramp 30 has a nice outer bar this year working on both low and high tides for set swell. All in all, I do not want to see Rmp 30 inundated with surfers, but perhaps the zone from Rmp 27 to 34 should remain in the surf report eyes to spot the best locations for surf potential, especially when reporting during a typical summer Bermuda High setup with SW swell wrap.